It’s a topic of interest as many are curious to know the difference between joint mobilization and manipulation. 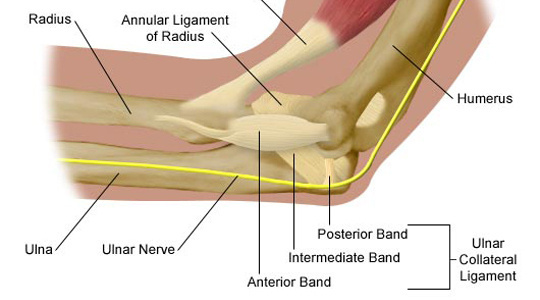 Joint mobilizations are very gentle and graded based on the part of the joint that we are working while manipulations are quick thrust at the anatomical end range of the joint. Mobilization and manipulation are performed mostly by physical therapists trained in manual therapy. Manipulation also called adjustments are performed by chiropractors. Among Mobilization techniques, Mobilization with Movement (MWM), developed by Brian Mulligan is widely practiced by the physical therapists, a few chiropractors, and osteopaths. The most interesting factor in the wide acceptance of MWM technique is that it’s performed in the absence of pain through the entire range of motion and that the patient is in control of the movement, whereas in manipulation the application is vigorous and could be painful. It is pertinent to the application and effectiveness of an MWM that elimination of pain is achieved throughout the technique. Studies have shown that MWM treatment is found to be superior in comparison to manipulation. Brian Mulligan’s movement with mobilization is the only technique that could be carried out in a functional plane, example could be utilized during a squat, a dance move, a bowling or a pitching action. Mobilization with movement can be performed on the spinal and as well as the peripheral joints. Also, MWM treatments have proved its effectiveness in functional improvements. Are you living with constant neck pain?? Tried and tired of all the conventional remedies? Approach a certified Mulligan practitioner trained in advanced orthopedics and sports physical therapy, such as Dr. Jacob Kurian, PT. Vertigo is the sensation of spinning and a specific kind of dizziness. It’s the sense that you or your environment is moving or spinning when in actuality there is no movement. 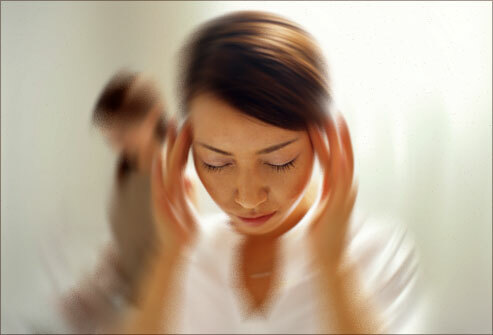 People commonly classify vertigo with other types of dizziness. By pinpointing its causes, you can see how it differentiates from other types of dizziness. There are other symptoms people commonly describe such as nausea, headaches, body sweats, ringing in the ears, hearing loss, or abnormal eye movements. Any of these symptoms can last from a few minutes to few hours and unfortunately come and go. There are two causes of vertigo. It is brought on by the disturbance in the balance organs of the inner ear, or a disturbance in parts of the brain or sensory nerve pathways. The disturbance in the inner ear brings on peripheral vertigo. Inside the ear are organs that send messages to the brain in response to gravity. We are able to tell our brains when there is movement in the vertical position, allowing us to keep balance. Disturbance or inflammation of these organs produces the sensation that is vertigo. This type of vertigo can be caused by a calcium build-up in the inner ear canals. The build-up could be caused by a trauma to the head. A disturbance of the central nervous system produces central vertigo. There are two areas involving a disturbance that can cause central vertigo. One area is the parts of the brain that deal with interaction between the senses of vision and balance. The other area is an interruption of sensory messages to and from the thalamus part of the brain. Fortunately, vertigo can be something that only occurs once. However, if it becomes a recurring instance, you should seek medical treatment by an ear, nose, and throat specialist. It is important to get it checked out because dizziness can be a symptom of a serious brain problem (stroke, brain bleed, etc.). Vertigo treatments can be done by certain prescription medications such as calcium channel blockers or beta blockers. Others can just seek physical therapy treatment where patients are taught a series of exercises that position the head to move particles in the inner ear. Are you taking medications to relieve pain? Are these medications truly helping you? It is important to understand that medications are a temporary relief for pain. Why not consider physical therapy and laser therapy? Laser therapy is a non-invasive, drug-free solution for pain. Laser therapy works by increasing blood flow to the targeted area to allow medical professionals, such as physical therapists, to provide a solution for pain relief and tissue regeneration to their patients. 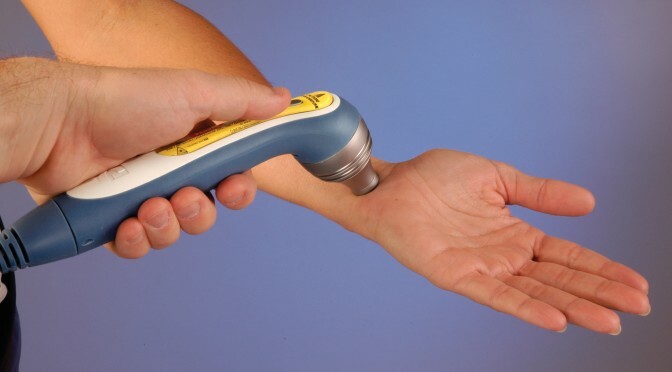 If you are considering laser therapy, it is crucial to select the right laser applicator. A physical therapist who specialises in laser therapy will begin the procedure by evaluating the type and depth of the condition that needs to be treated. Laser therapy is determined by collimation (spot size/spread of light source or how deep into the muscle tissue the laser must reach to relieve symptoms), wavelength, and power. Technology is becoming more common in physical therapy practices as it has progressed and become more advanced. Enhanced Physical Therapy has recently added the Vectra Genisys Transport Laser in our office. This device allows us to have a simple way of providing feedback and keeping track of the history of our patients. Each applicator has a specific area that targets the body. A single emitter laser diode is ideal for knee, wrist, and ankle, whereas the 9 Diode Cluster is ideal for neck and shoulder. If a patient is experiencing pain in the thigh, shoulder, or back, the 13 Diode Cluster is the best to use. If large body areas are inflicted with pain, the 33 Diode Cluster is the way to go. Your physical therapist will be able to provide you with the information and a recommendation for which laser to use for your specific injury or condition. Laser therapy uses different sources of light and each has its own use and characteristics. The Laser Diode, for example, targets areas where problems are deeper into the body but are perfectly capable in treating superficial conditions. Another example is the Super Luminous Diode, which is more common for treating superficial conditions. The Light Emitting Diodes, which target a few millimeters into the body’s tissue, is best used when conditions are very close to the surface. Laser therapy has many benefits. The first is providing relief to symptoms including minor muscle and joint aches, pain, and stiffness. Laser therapy also increases blood circulation to provide the appropriate flow of oxygen in the blood to localized areas and can sooth and relieve muscle spasms by relaxing the muscles. Autumn is a gorgeous time of the year to spend outside, but with the change in color and the eventual falling of the leaves comes a lot of clean up! Raking leaves is an exhausting but necessary process as the grass underneath the leaves needs sunlight in order to go through photosynthesis. It is important to be safe when raking. Picking the proper rake for your height and strength is critical in injury prevention and efficiency. 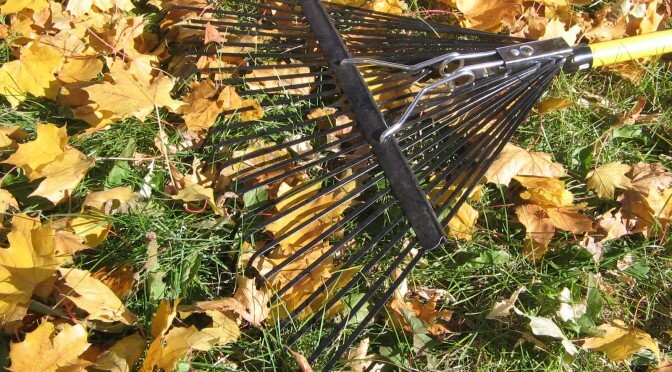 Make sure when purchasing a rake that you are able to effectively go through a raking motion. If you are struggling in the store, you will struggle in your backyard. Prior to raking the leaves, make sure you are properly hydrated and your muscles are warmed up through dynamic stretching with a focus on your upper body. Dynamic stretching includes active movement of the muscle groups you plan to use and is better than slow passive stretching which can lead to a muscle pull. Wearing proper footwear, such as athletic sneakers or any shoes that are skid resistant, will help you avoid slips. Walking carefully on the ground where leaves are present is also a safe measure in preventing a dangerous fall. Wearing gloves during the raking process also will keep your stamina up as you will not develop blisters on your hands. Remember to bend at the knees and not the waist when picking up anything in order to avoid back injuries. Know your limits, and if you need assistance moving patio furniture, ask for help! As with any exercise, if you begin to get critically exhausted, it is time to take a break. In fact regular breaks during a raking session can be extremely beneficial as raking can be a strenuous aerobic exercise. Although raking is necessary, injuries are not. Following these guidelines should keep you injury free into the upcoming holiday season! Poor posture, an issue many people don’t realize they have, is extremely important to a person’s overall health. If you have proper posture, your muscles, joints, bones, and organs are aligned for optimal efficiency. Posture can have an effect on your endurance and strength, mood, digestion, and more! It is extremely important that you work to improve your posture in order to improve your quality of life for the long term. Posture related problems can be due to traumas such as falls or accidents, however for many people, posture is due to poor habits. For many, the average work day involves using a computer for hours at a time, and not having the proper desk height and chair may have huge effects on your posture. Also, by not sitting properly, you can overtime cause posture issues. Another area to consider is your sleeping environment when examining posture issues. If your mattress is too soft, you might not be providing enough support for your back. It is critical to replace your mattress and replace pillows as needed as a person typically spends an average of 25-30% of the day in bed. Examining your work and sleep environments are important areas to consider when looking to prevent posture related problems down the line but they aren’t the only one. Proper footwear is an important area to examine. You should makes sure that your shoes provide proper arch support and are cushioned accordingly. Especially the shoes you spend a majority of your day in. Also, you must watch your weight! Increases in weight can put a strain on your muscles, joints, and back, forcing you into a bad posture position. Eating properly and staying active will not only prevent weight gain, but will keep your body in peak condition and help to avoid posture related problems down the line. Good posture is something you should actively pursue to maintain. If you are unsure of the status of your posture, or you want personalized advice based on your lifestyle habits on avoiding posture problems later, visit a physical therapist. He or she will be able to tailor make an action plan in fixing your posture or a plan to help you create an environment that will help you avoid posture related problems in the future. For the most part, good posture is in your hands. It is up to you to be on the offense with prevention techniques or on the defense once the damage is done. Fibromyalgia is a medical condition affecting the muscles and soft tissues. Symptoms of this condition include widespread muscle and joint pain, fatigue, sleep problems, anxiety, and depression. Fibromyalgia affects more than 12 million Americans and women ages 25 to 60 are ten times more likely to be affected by the disease than men. Cognitive dysfunction caused by fibromyalgia affects both short and long-term memory as well as the speed of performance and the ability to multitask. Robin McKenzie, OBE, a physical therapist from New Zealand, developed his theory in the 1950’s. In 1981, he further elaborated using a concept called Mechanical Diagnosis and Therapy (MDT), which helps to relieve back, neck, and extremity pain. The McKenzie Method of MDT promotes non-invasive treatment using the body’s potential to repair itself. Research has found that when people with fibromyalgia received massages, they experienced less pain, stiffness, and fatigue. Massage improves joint mobility and health, and many of the sleep related issues associated with fibromyalgia have been known to either decrease or disappear because of the McKenzie Method of MDT. A trained physical therapist will go through an extensive assessment of your symptoms as well as your mobility, especially with fibromyalgia as it affects the muscles and joints. A major part of the McKenzie Method of MDT is analyzing repeated movements. Following an analysis and diagnosis, the physical therapist will prescribe the proper exercise treatment for both in-office and at-home sessions. A physical therapist certified in the McKenzie Method of MDT can be the solution to your fibromyalgia. 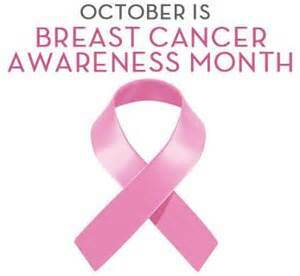 The symptoms of the disease can be debilitating and can make life miserable. If you are suffering from fibromyalgia and would like to explore non-invasive treatment options, the McKenzie Method of MDT may be right for you. The labrum is a rim of soft tissue surrounding the hip socket that protects the surface of the joints. The labrum acts like a rubber covering in order to help hold the ball at the top of your thighbone securely within your hip socket. The labrum can tear due to injury, degeneration of the joint due to osteoarthritis, or in conjunction with femoroacetabular impingement (FAI). 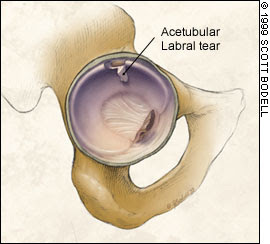 Labral tears cause pain in the front of the hip and groin due to bending or rotation of the hip or from physical activity, causing “clicking” within the hip as well as a limited range of motion. The McKenzie Method is a treatment that research has shown helps almost 80% of patients within 1-3 sessions to relieve their pain. A physical therapist trained in the McKenzie Method will assess the problem area, whether it be your back, neck, shoulder, knee, ankle, or hip, and address any issues due to sciatica, sacroiliac joint pain, arthritis, degenerative disc disease, numbness in hands or feet, and muscle spasms. The McKenzie Method involves maximizing the body’s potential to repair itself without the use of heat, ice, ultrasound, surgery, or medication. It helps patients to learn the principles to control their own symptoms through repeated movements and sustained positions. The movements are monitored and controlled by how they change your pain and range of movement. This helps to determine which treatment regimen is needed to help relieve your pain. The treatment allows patients to learn the principles of controlling their own symptoms through repeated movements and sustained positions. These movements are controlled and monitored in accordance to how they affect your pain and range of movement and is used to determine which treatment regimen would be best to help alleviate your pain. How will the McKenzie Method help labral tears? Musculoskeletal pain can be due to unusual forces or mechanics occurring in the tissue, and the movement causing the pain may help to form a solution. The McKenzie Method is designed to assess the problem causing the pain and develop a technique to decrease or eliminate it. The assessment will analyze different positions and movements of the hips and how the patient responds to them. Directional preference is used when the patient moves in one direction to worsen the pain and the opposite direction to eliminate the pain. A physical therapist will determine which movement becomes the exercise dosage needed to treat your labral tear. The McKenzie Method is a great way to help heal your pain from a labral tear, allowing you to restore the function of your hip by repairing your body without the help of surgery or medication. The American Physical Therapy Association (APTA) hosts National Physical Therapy Month annually in October in order to recognize how physical therapists and physical therapist assistants transform society by restoring and improving motion in people’s lives. This year, the APTA is campaigning using the #AgeWell hashtag on social media, as well as using media outreach and online advertising to spread the word. To go with the theme of healthy aging, the right type and amount of physical activity can help combat and even reverse many age-related health problems. Proper exercise, mobility, and pain management techniques have been proven to ease pain and improve quality of life. Physical therapists and physical therapists assistants are movement experts and believe surgery and prescription medications are only needed after all physical therapy options have been exhausted. 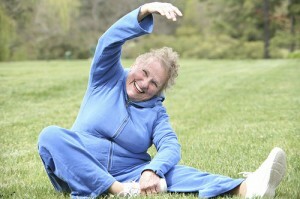 Contrary to popular belief, you have the ability to get stronger as you age. Research has shown that improvements in strength and physical function are possible well into your 60’s and 70’s with the right exercise program. Proper exercise and nutrition can lower your risk of diabetes, help you avoid falls, and promote positive brain, heart, and bone health. A physical therapist can help recommend the proper exercise program if you are an older person with a desire to stay feeling young. Physical therapists and physical therapist assistants are evidence-based health care professionals who improve mobility and relieve pain without the need for surgery or prescription drugs. Along with physical care, a physical therapist and his or her assistants provide mental and emotional comfort for their patients. A physical therapist will work collaboratively with their patients to ensure their individual goals for recovery are reached, and will always provide a personalized exercise or mobility program. National Physical Therapy Month is a great opportunity for the public to be educated about how physical therapists and physical therapists assistants help people everyday in pain management.